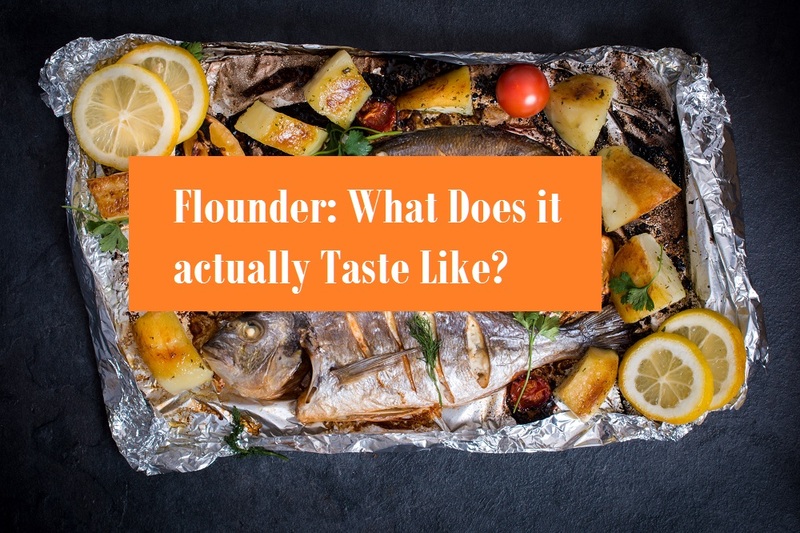 Home » Blog » Flounder: What Does it actually Taste Like? Many people despise the thought of eating fish. It sounds slimy and foreign to them. They are worried that it will have a fishy taste to it. However, the case is not true when eating flounder. If cooked properly, this light and flaky fish is very delicious to the palate. One will not notice a fish taste. Also, seasoning it will bring out its natural and light flavors which will provide the eater with a new dish that they will love and enjoy. Not to mention, the various health properties that this underrated fish has to offer that will help to keep your body in top condition. What do flounder fish look like? Flounder is an oval-shaped, slightly flat fish that is found in the ocean. It is similar to a perch in terms of its relation to its size and shape. In fact, many people find this fish very attractive physically. Others may be repulsed at the very thought of it, just because it is a fish and once swam in the ocean. Fortunately, it has many good qualities. One of those qualities is its flavor, especially when it is prepared very well! In fact, it is actually a very delicious and light fish, which may be the reason that it is actually very appealing. Unlike some fishes that are found in the ocean waters, flounder does not have a very strong taste. In fact, it is very mild in flavor. It is light and flaky and is very easy to eat with just a fork. No knife or heavy cutting is required when eating it. It is also very similar to halibut with its light and delicate flavor. However, compared to halibut, it is not as rich, nor does it have the buttery consistency that halibut has. What Does Flounder Smell Like? Flounder does not have a strong smell to it. Unlike, trout, catfish, or salmon, you are almost unable to detect a fishy odor to it at all. This is a very positive trait to this particular type of fish because it allows it to absorb the flavors of the seasonings that are added to it prior to cooking it. In fact, if it is fried, it will not absorb the greasy flavor of the oil that it is cooked in. Because of this, the flavors of the fish are able to be complemented by the seasonings which allow it to be very flavorful to the palate. Therefore, it is a very delicious fish. For people that do generally not like fish because of its flavor, flounder may be one fish that they will enjoy. In fact, flounder will benefit them not only in their cardiac health, but also in their eye health due to the amount of omega-3 in this particular type of fish. Like many other fish such as salmon and tuna, the omega-rich content is very beneficial to more than one type of the body. Not only is it great for your heart, but it is also fantastic for your eye and joint health. (2) The oils in flounder help to keep joints lubricated which is very important as we age. Also, the natural oils help your vision and aid in preventing eye dryness by creating increased moisture for the eyes. This can help prevent problems with your vision in the future and prevent eye damage. Protein is a necessary source in providing energy for our bodies as well as building lean muscle. This is a great source of alternative protein for vegetarians who eat fish instead of animal proteins like beef or chicken. Another health benefit is that it helps to lower cholesterol. This is great for individuals who are trying to find healthy foods to lower their bad cholesterol. This means that it is a heart-healthy food. 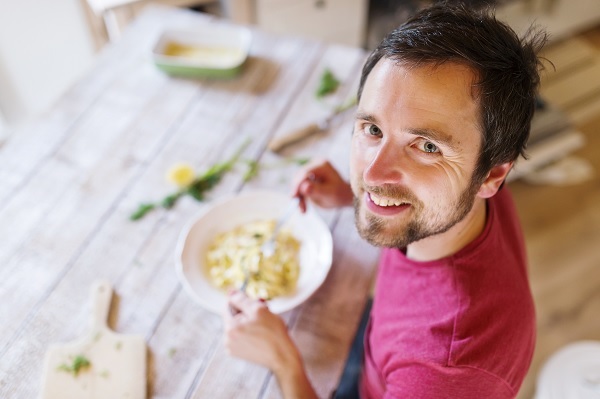 A benefit of heart-healthy food is that you can eat it more than once a week, if you choose to. Or, you can alternate it with other foods that help to lower cholesterol to provide a variety of food choices for your diet. In addition, flounder is also very low in fat. But this does not mean that you should eat it fried every time that you eat it. Make sure that you either broil it or lightly pan fry it. You can use something like extra-virgin olive oil or avocado oil. Not only are these oils a source of healthy fats, but they will also add great flavor to your fish. Remember that eating a low-fat fish such as flounder is good for your waistline as long as it prepared in a healthy way. Flounder is excellent broiled, grilled, or pan-fried! It should be well seasoned with either a seafood seasoning or just a simple sprinkle of salt and pepper. This is a great way to bring out the natural flavors of the fish. In addition, you may wish to squeeze a bit of fresh lemon or use a lemon and pepper seasoning blend on your entrée. Lemon is a natural flavor enhancer for fish and is excellent when it is used on flounder. You could also use fresh lime juice to accent the fish. Like most cooked fish, flounder should not be kept more than 2 or 3 days in the refrigerator. Any time after this and the proteins in the fish will begin to break down which will cause the fish to begin to spoil. Storing flounder in the refrigerator for more than a few days will also cause it to lose its flavor and make it less appetizing to eat. Conclusion: it is a good fish to eat! It is great for keeping several parts of the body healthy such as the heart, the joints, and the brain. It is also a great food to eat on a regular basis because of its delicious flavor. There can be so many ways that flounder can be prepared that the possibilities are endless. You will learn to enjoy eating this fish as you not only savor its lovely flavor, but also keep your body healthy!